The first step in Currier Woodworks cabinet making process is a design consultation. Whether you visit our Beaufort, North Carolina shop with blue prints in hand or have us come to your home. Project layout will now take place. Lumber and plywood will be ordered and the building process begins. 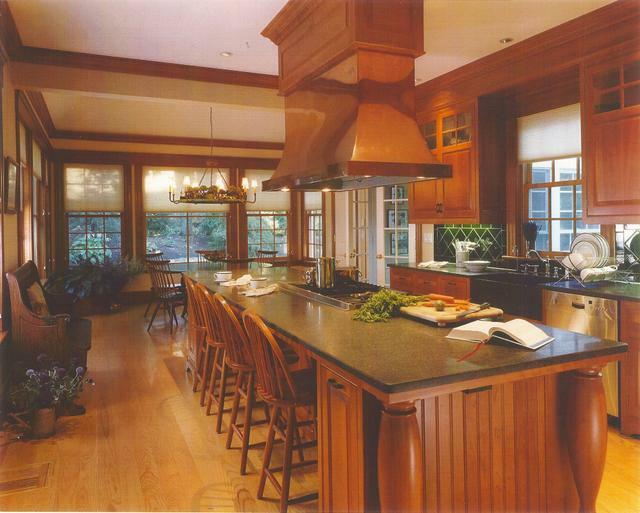 Construction of a typical kitchen usually takes 3-4 weeks. Following construction, the cabinetry moves into the spray finishing room. Here we spray only Sherwin Williams catalyzed varnish. One of the finest and most durable finishes available today. The look and feel is unlike any other. Whether you have chosen paint (pigmented catalyzed varnish), stain or clear finish, this process will protect the wood for decades to come. The next step is the assembly. Now each door is carefully hung and the dove-tailed drawer boxes are installed. We like to use Blum under mount, soft close drawer slides; they are simply the best you can buy. Finally, the knobs and pulls of your choice are installed. Now it is time for the installation. Don Currier personally oversees every job. Your custom cabinetry will show up at your home wrapped in blankets and ready to install. This process usually takes 2-3 days depending on the size of the job. After counters are set and appliances are installed, Don will return for a final inspection.